Finland: Political leaders commemorate 100 year old ‘reconciliation’ speech with the loser Reds in Finnish Civil War……. – The Tundra Tabloids……. Finland: Political leaders commemorate 100 year old ‘reconciliation’ speech with the loser Reds in Finnish Civil War……. I’m sick of hearing others blather on about how ”Marxists are just people with different ideas”. No, they’re people with whom we must be on guard against, who would strip us of our God given (unalienable) rights and enslave us with their ant-heap inspired ideology. What happened to Finland after the so called ”reconciliation” with the losing side (Marxists) of the Finnish Civil War, was that Finland became a social(ist) democracy, complete with a welfare state that’s protected by mind a numbing consensus driven politics under-girded by the statist mindset. I’ve often said to my friends here that, yes, the generation of the day may have beaten the Reds, but look around you, the Left in the long run, actually won the war. Statism is taken for granted here, the entire culture being steeped in the state that it’s difficult for the average Finn (there are of course exceptions) to divorce it from their own persona. Criticize the welfare state, healthcare and other social programs, you could have sworn that you had besmirched their mothers. Finnish President Sauli Niinistö and Prime Minister Juha Sipilä were on hand to mark the 100-year anniversary of a speech that laid the cornerstone for Finland’s unification after a brutal civil war. 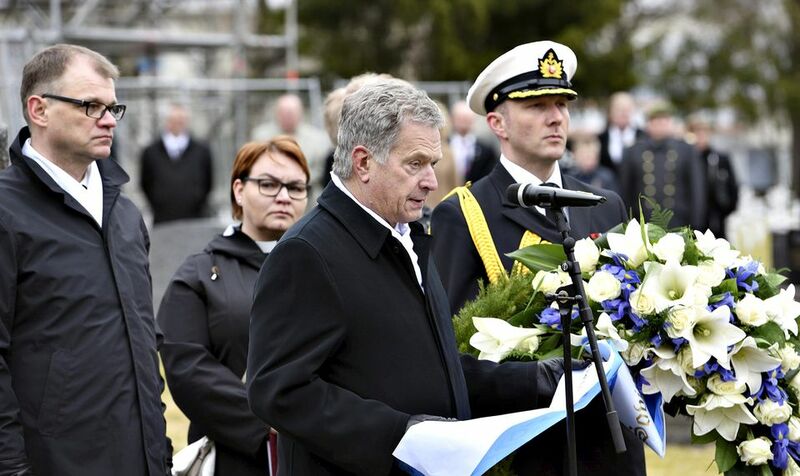 Finland’s President Sauli Niinistö joined Prime Minister Juha Sipilä and many others on Saturday in commemorating the 100-year anniversary of a historic speech that set Finland down a new united path. Delivered on 5 May 1918 by Kyösti Kallio, then a member of the Finnish Senate, the ‘reconciliation speech’ is widely considered to have inspired Finland’s gradual reunification process after the Finnish Civil War. The ceremony took place in the North Ostrobothnia municipality of Nivala, in the same church in which Senator Kallio gave the speech one hundred years prior. Kallio was the first White Guard politician to propose that the warring sides work towards reconciliation after the brutal civil war fighting came to an end. He would later serve as the fourth President of Finland, from 1937 to 1940. President Sauli Niinistö addressed the people gathered in Nivala. “The events which took place a hundred years ago are still of relevance for Finland today, and it is not insignificant how we account for the past. Civil war is the worst thing that can happen to a nation. Let it be a lesson to us to remember and preserve our stability at a time of turmoil in various parts of the world,” he said. He said Kallio’s reconciliation speech was remarkable for several reasons: one of them being its timing. The bloody Finnish Civil War had ended just a few weeks earlier and tempers were still high. “[Kallio] gave the speech at a very difficult time. In May 1918, the Finnish Parliament was still suspended, people took the law into their own hands, executions prevailed in the country and the army held a kangaroo court based on martial law,” the Finnish President said. Niinistö said it would be a misrepresentation of history to say that Finland would have smoothly moved to a more inclusive governmental policy after the Civil War. No copies of Kallio’s groundbreaking conciliatory speech were saved, and the newspapers of the era also did not mention it. “It is an irony of history that the speech was not saved in its entirety for posterity. Yet its core message is still strong: the requirement to build a Finland in which “there are no Reds and Whites but only Finns who love their fatherland, citizens of the Republic of Finland who all feel themselves to be members of society and who are at home here” remains as engaging now as it was back in 1918,” Niinistö said. In his own Saturday address, Prime Minister Juha Sipilä reminded the crowd that reconciliation did not come swiftly after the Finnish Civil War. A violent cycle of bitterness and revenge was unleashed once the official fighting of the war had ended. 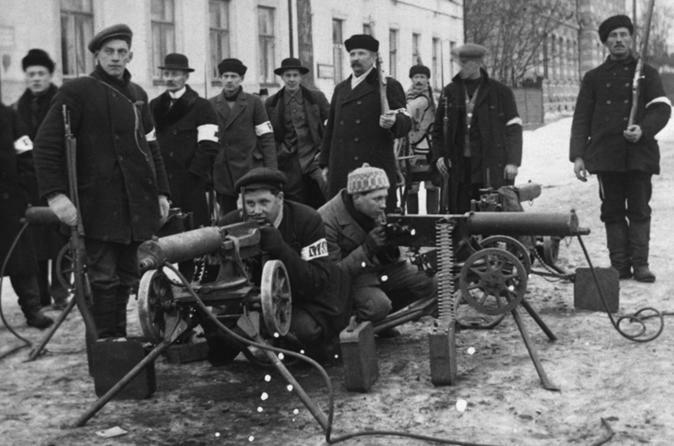 A reign of terror targeting the Reds in particular swept through Finland in the spring and summer of 1918. “Thousands of people were killed in post-war altercations and prison camps before the reconciliation policies began to be implemented in earnest. Kallio preferred a policy of mercy over revenge,” Sipilä said. Finland’s premier said Kyösti Kallio’s speech at the Nivala church laid the foundation for Finland’s future. The next real turning point took place after the next municipal elections, when rulers accepted the Social Democratic Party’s participation in local government. “This integration effort reached its fulfillment years later, after Kallio was elected president and named both the winners and losers of the conflict to work side by side in the government,” Sipilä stated. Both Sipilä and Niinistö stated their concerns about increasing antagonism in modern-day Finland, a phenomenon they say is growing on social media and internet discussion forums. Previous Post Previous Post Cape Town imam calls for Muslims worldwide to support the jihad-genocide of Jews in Israel……. Next Post Next Post Finland: Expert says Turku City jihadi stabber failed completely in propaganda manifest video, so bad ISIS rejected using it…….